They say Virginia is for lovers, and that may be true… but it’s definitely for campers. From the beautiful beaches on the east coast to the rolling hills giving way to stunning mountains in the west, if you imagined a state hand-designed for outdoor exploring, Virginia might just be what you’d come up with. 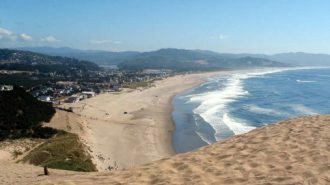 Its versatile and beautiful landscape truly has something for everyone, whether you want to simply kick back with your toes in the sand, enjoy a moderate hike, or get your blood pumping with a challenging climbing project. Along with tons of exciting outdoor pursuits, Virginia is also home to some of the most significant historical and cultural tourism in the country — it is the site of the first permanent English colony at Jamestown, after all! 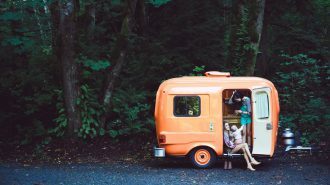 Whether you’re looking to trek down memory lane or just make some exciting new memories of your own, camping in an RV is the perfect way to see Virginia. Not only are there many beautiful Virginia RV parks and campgrounds to choose from, but there’s also an ample supply of RV rentals available in Virginia, both through major commercial RV rental dealerships and through the peer-to-peer RV rental market. 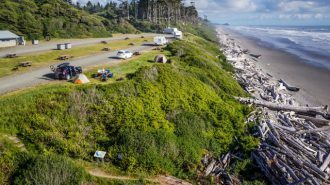 Camping in an RV combines the privacy and luxury of high-end hotel living with the flexibility of road tripping… without having to worry about paying high hotel prices (or booking a new room every few nights)! Of course, after a few wonderful weekends exploring the Old Dominion, you may find yourself idly scanning the listings at RV Trader or your local RV dealership’s website. 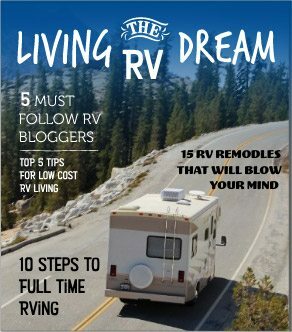 Hey, it happens to the best of us: The RV lifestyle bug is easy to get bitten by. But you want to make sure you get the very best deal on such a hefty investment! 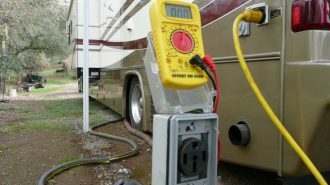 Camping shows and RV expos are a great way to compare and contrast a wide range of vehicles in a short amount of time, so you can figure out exactly what kind of rig will work best for the camping needs of you and your family. And fortunately, there are many wonderful RV shows held all across the state of Virginia, so you have ample opportunities to take part in one of these exciting events! If you live in the greater metropolitan Washington D.C. area and have been wondering, “Where are the RV shows near me?” — well, we have your answer! The Washington Camping RV Expo has been fulfilling the needs of RV campers in your area for many years, and features a wide range of reliable and well-known RV dealers from both Virginia and Maryland to help you find your next vacation vehicle at a great cost. With RV dealers crossing state lines to be represented at this motorhome show, you’ll have the best opportunity to thoroughly shop the latest and greatest rigs available on the market. 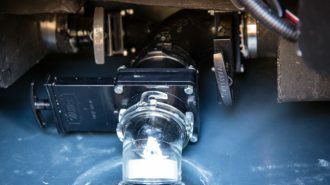 Whether you’re looking for small, modest RVs like tent campers or big, luxurious motorcoaches and fifth wheel trailers, the Washington Camping RV Expo has it all. 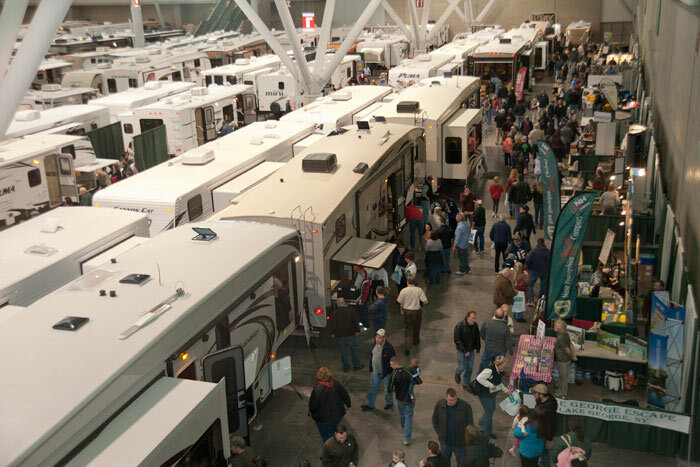 You’ll also be able to explore exhibits featuring RV accessories and interact with representatives from local campgrounds and RV resorts — so even if you don’t walk away from this camper and RV show with the keys to a new rig in your hand, you’re sure to walk away with a few more destinations on your bucket list! Kids 12 and under: FREE with adult admission! Discounts: Good Sam Club Members will receive half off their entry price with their active membership card. Maximum two tickets; offer not valid or combinable with any other discounts. Not a Good Sam Club member? Purchase a 1-year membership for just $27 and enjoy all the exciting club benefits, as well as the 50% savings on up to two RV show tickets this year! About to embark on its 37th annual year in Virginia Beach, the Tidewater RV Show is the perfect place for coastal Virginians to explore a wide range of vehicles and camping accessories. Featuring vehicles displayed by five well-known area Virginia dealers, this expo presents a great opportunity for all your RV shopping needs. 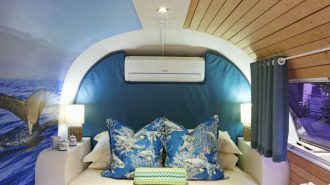 At the Tidewater RV Show, you’ll be able to explore new RVs ranging from Class A motorhomes to lightweight, easy-to-pull tent trailers, as well as everything you can imagine in between: fifth-wheels, travel trailers, truck campers, and more. The dealers offer easy on-the-spot financing options and suggestions for campgrounds and travel destinations, so you’ll be all ready to hit the road when you leave this travel trailer show! 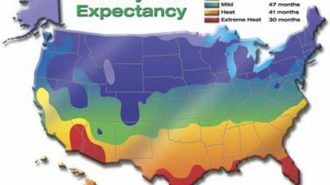 Friday, January 19: 12 p.m. noon – 8 p.m.
Saturday, January 20: 10 a.m. – 8 p.m.
Sunday, January 21: 11 a.m. – 5 p.m. Discounts: Click here to get a free printable coupon for $1.00 off your admission price! 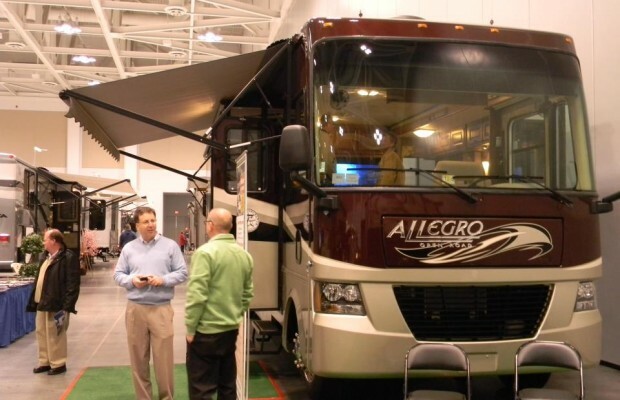 With over 150 makes and models to choose from, the Richmond Camping RV Expo is one of the largest RV shows in eastern Virginia, featuring the very best rigs available on the market today. 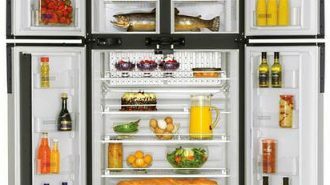 Browse the latest and greatest from all the nation’s top manufacturers, and enjoy special factory rebates and special show pricing to help get you on the road as quickly and affordably as possible. 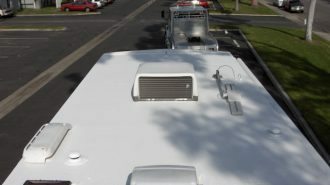 Along with a wide range of RVs to explore, discover, and possibly purchase, this motorhome show will also feature a huge parts and accessories exhibit, along with representatives from campgrounds and outdoor outfitters standing by to answer your questions and help you make your next camping trip even more convenient and fun. You’ll even be able to check out some tow vehicles, as well as informational seminars and entertainment! 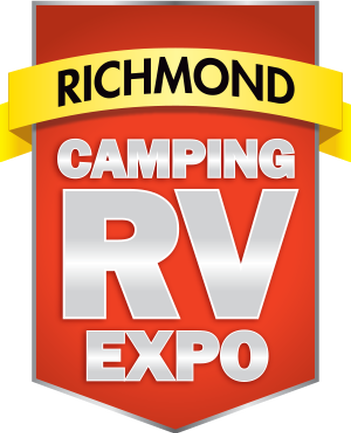 No matter what price point you’re looking for or what kind of camping experience you want, there’s something for you at the Richmond Camping RV Expo. Saturday, February 10: 10 a.m. – 8 p.m.
Sunday, February 11: 10 a.m. – 5 p.m.
Hey Fredericksburg — want to see all the best RV dealers in your area under one roof? 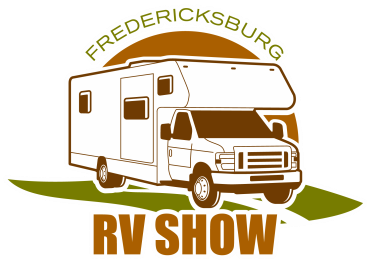 Head to the Fredericksburg Expo and Conference center this spring, and that’s exactly what you’ll find at this RV camper show. As the show’s website says, you’ll be able to “shop, compare, and save” with jaw-droppingly low show prices for RVs from hundreds of the best-selling brands in the business. Whether you’re looking to spend a few hundred dollars or tens of thousands, there’s bound to be an RV at this show with your name on it. Best of all, you’ll be in great hands — only the most trustworthy Virginia RV dealers are represented in the expo center’s exhibit halls each year. 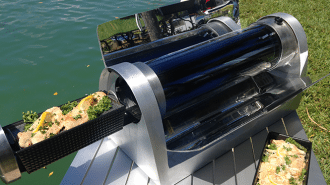 You’ll also get the opportunity to meet and greet with other outdoor exhibitors, camper accessories dealers, and local area campground representatives. Friday, March 2: 1 p.m. – 8 p.m.
Saturday, March 3: 10 a.m. – 7 p.m.
Sunday, March 4: 11 a.m. – 4 p.m.
Tickets: Can be purchased on-site at the box office or in advance from the website — which will save you a dollar on your admission charge! Sign up for updates to receive a $1.00 coupon. If you live in the Hampton area and you’re a Good Sam Club Member, this is the RV show for you. You’ll experience rich savings starting as soon as you walk in the door, not to mention the opportunity to walk through, compare, and affordably purchase a huge range of travel trailers and motorhomes. 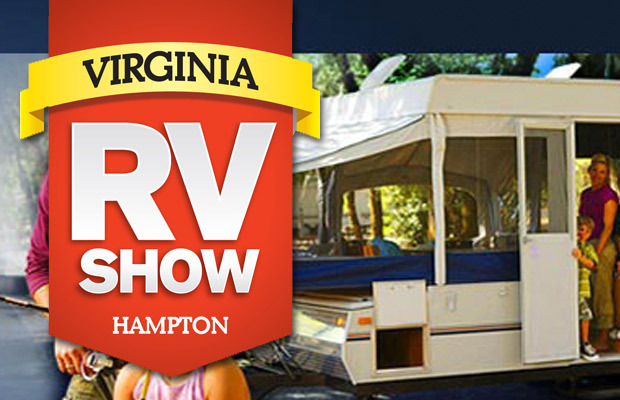 Held annually in March at the Hampton Roads Convention Center, the Virginia RV Show in Hampton is the perfect opportunity to get yourself set up for a summer full of fun in your next vacation vehicle. From Class A and C motorhomes to travel trailers ranging from folding campers all the way up to tricked-out fifth wheels and toy haulers, everything you need to get you and your family moving can be found at this camping show. Friday, March 9: 10 a.m. – 8 p.m.
Saturday, March 10: 10 a.m. – 7 p.m. Although all the information for the 2018 show isn’t available yet, the 2017 Hampton Roads RV Super Sale was a hit — so we wanted to make sure you didn’t miss the opportunity to learn more about this exciting potential expo! The Hampton Roads RV Super Sale is all about bringing you the very best prices on the best rigs available. 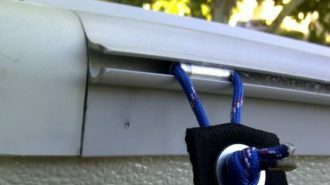 And since it takes place in late August, it’s a great chance to find some savings if all the spring sales don’t fit your travel schedule this year. Prices: TBA, but last year’s show was $10.00 for adults and free for those 18 and under, as well as offering free admission for active and retired military, police, firefighters and EMS with valid ID. The show also featured a $5.00 ticket deal for those who signed up for this free coupon. Tickets: To be purchased on-site at the box office. CASH ONLY. As you can see, Virginia is chock-full of fantastic opportunities to shop for your next RV at one of its well-known and beloved RV shows and outdoor expos. You’ll also be able to meet and interact with other outdoorsy, adventurous people like you — which is our favorite part of camping, anyway. When it comes to gathering around a campfire, we say, the more the merrier! Enjoy your travels in one of our nation’s oldest, proudest, most beautiful states… and good luck on shopping for your next RV!